A few years ago, a 22-year-old student was killed in the wilds of Saskatchewan, and evidence suggested that wild wolves were the culprits. The incident was widely reported in the media, since there had never before been a documented case of death-by-wolves in North America. Last week, the coroner’s inquest finally finished, and the wolves were found guilty. But some wildlife experts still have their doubts. Goat, the blog over at High Country News, has a good summary of the controversy. Amidst all the T-shirts, sheet sets, and other wolf propaganda, we tend to forget that wolves are, um, actual wild animals, too. During the westward expansion, we hunted so many gray wolves that the species was nearly extinct. But thanks to protection under the Endangered Species Act and a reintroduction program, these days, wolves have made a comeback. In 2004, gray wolf populations in Minnesota, Michigan, Wisconsin and parts of other states around the Great Lakes were officially removed from the federal list of endangered species. Sizable wolf populations in the Rocky Mountains have some people cheering and others up in arms, literally. Ranchers in the Rockies have trouble protecting their sheep, and a few hunters have reported that their dogs have been attacked, too. Right now, wolves in the Rockies are listed as “non-essential experimental populations,” and the EPA is currently considering revising the wolf rules for these areas. 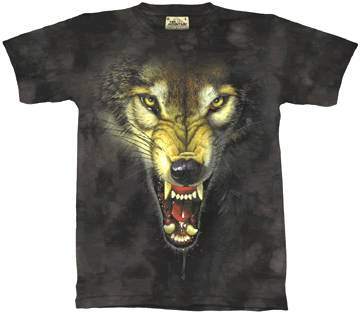 High Country News points out that the decision in the Saskatchewan case “bolsters those who continue to oppose wolves in the West.” It’ll be interesting to see how everyone reacts—the mystical wolf T-shirt crowd and the angry wolf T-shirt crowd alike.